The Kumho-Asiana Group has gained ground in its efforts to normalize its management thanks to its major subsidiaries, which have turned their bottom lines to profits or have made progress in the disposal process. Kumho Tire, Kumho Industrial and Asiana Airlines are forecast to report profits for 2010, according to the analysis of their business performances in the third quarter of last year and major securities companies’ projections. In particular, one company that is the subject of intense public attention is Asiana Airlines. The Korean national flag-carrier, which is in an individual voluntary agreement with creditors, is predicted to make the year 2010 the year of record business performance. Riding on a rise in travel demand and stable crude oil prices, Asiana Airlines chalked up 3.791 trillion won in combined sales and 531.9 billion won in operating profits during the period between Jan. 1 and Sept. 31, 2010. The figures represent a sharp contrast with its worst business performance in 2009 ― it suffered losses of 236.6 billion won. Kumho Tire and Kumho Industrial are likely to follow suit. Kumho Industrial was in danger of a management crisis in 2009 when the company logged 2.34 trillion won in net losses, but things changed during 2010 when it posted 849 trillion won in accumulated net profits as of the third quarter. Kumho Tire also chalked up 97.1 trillion won in net profits during the period between the first quarter and the third quarter of last year. For the group, which was faced with a financial crisis one year ago, the acceleration of its normalization of business performances was attributable to its self-rescue steps, business sources said. The group suffered a setback in business performances in 2008 in the wake of the global financial crisis on top of its own financial crunch caused by the repayment of huge debts with put-back options owed to the acquisition of Daewoo E&C. As a result, the group has taken a set of steps to restructure its business portfolios, including the resale of Daewoo E&C, and cost reductions. These steps are attributed to subsidiaries’ improvements in both constitution and business performances, according to the business sources. Kumho Tire and Kumho Industrial have each seen their financial soundness improve due to debt-equity swaps. An official at the Kumho-Asiana group said a combination of belt-tightening restructuring steps and executives and staff members’ efforts has led to the improvement of financial soundness. As the normalization process has picked up speed, the group has begun to draw up future investment plans by readjusting their goals upward. Asiana Airlines plans to invest approximately 2 trillion won to introduce six A380 aircraft, one by one, starting in 2014. Kumho Industrial aims to raise winning orders to 2.324 trillion won, post 1.952 trillion won in sales and 98.4 billion won in operating income. 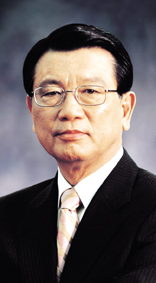 Kumho-Asiana Group Chairman Park Sam-koo, who has taken the helm at the group again, is engaged in brisk management activities by personally making important decisions, including plans to dispose of Korea Express, a distribution subsidiary of the group, and the introduction of the A380 aircraft.